MATT DAMON returns to his most iconic role in "Jason Bourne." Paul Greengrass, the director of The Bourne Supremacy and The Bourne Ultimatum, once again joins Damon for the next chapter of Universal Pictures' Bourne franchise, which finds the CIA's most lethal former operative drawn out of the shadows. In theaters July 29. Photo Credit: Jasin Boland. © 2016 Universal Studios. ALL RIGHTS RESERVED. 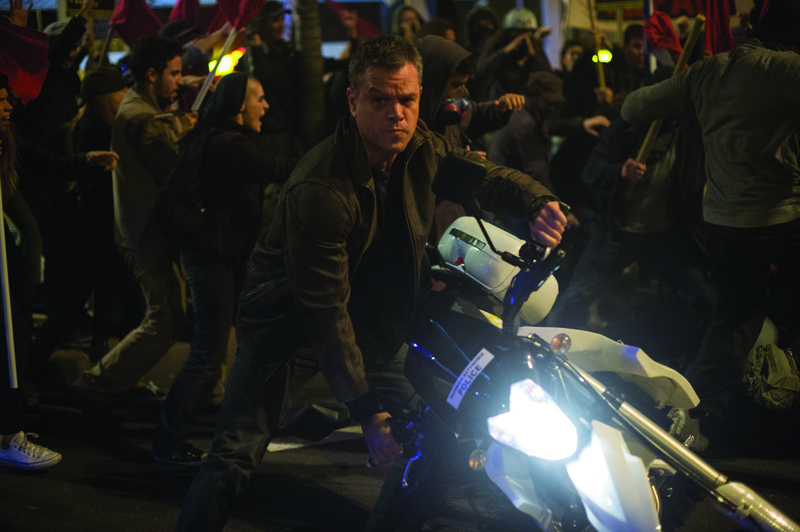 Today we've got a peek at the upcoming Universal film, Jason Bourne. Matt Damon is back as title character Jason Bourne. Damon is joined by Julia Stiles, who reprises her role in the series, Alicia Vikander, Vincent Cassel and Tommy Lee Jones. The film is scheduled to be released, July 29. Check out the trailer below.